On August 9, 2013, a federal district court judge in Maryland dismissed a Title VII suit filed by the Equal Employment Opportunity Commission (EEOC). The EEOC had alleged that Freeman, a Dallas-based convention coordinating company, used discriminatory background checks which resulted in a disparate impact on minority applicants. The federal judge rejected this contention, finding that the EEOC’s expert report was fatally flawed to the point it was “an egregious example of scientific dishonesty.” While the opinion does not prohibit the EEOC’s ability to challenge background checks in general, and has no direct impact on a separate background-check case filed by the EEOC against a BMW plant in South Carolina, the dismissal of the Freeman lawsuit highlights the significant hurdles faced by the EEOC when prosecuting such suits. The EEOC maintains that criminal and credit background checks have a disparate impact on minority applicants, who comprise a disproportionate percentage of people with criminal histories or poor credit records. The lawsuit alleged that Freeman’s use of background checks constituted unintended but real discrimination against more than 130 black and male applicants. The judge countered that while “some specific uses” of background checks may be discriminatory, the EEOC did not present reliable evidence of a disparate impact resulting from any specific practice in this case. The judge added that the EEOC’s position could have a chilling effect on companies trying to prevent workplace violence and theft, noting that “the EEOC has placed many employers in the ‘Hobson’s choice’ of ignoring criminal history and credit background, thus exposing themselves to potential liability for criminal and fraudulent acts committed by employees on the one hand, or incurring the wrath of the EEOC for having utilized information deemed fundamental by most employers.” In essence, the court rejected the EEOC’s central premise that, because of disproportionate conviction rates, any consideration of criminal or credit background checks has an unlawful disparate impact. It is expected that the Freeman case will be appealed to the United States 4th Circuit Court of Appeals, which governs claims in North Carolina. It is noteworthy that this decision represents the second federal district court defeat for the EEOC since it announced in April 2012 its intention to challenge criminal and credit background checks in court as potentially violating Title VII’s prohibition on race and national origin discrimination in the workplace. In its April 2012 announcement, the EEOC recommended that employers base hiring decisions on an “individualized assessment” of an applicant’s fitness for the job, rather than rejecting applicants outright on the basis of a criminal history or poor credit record. 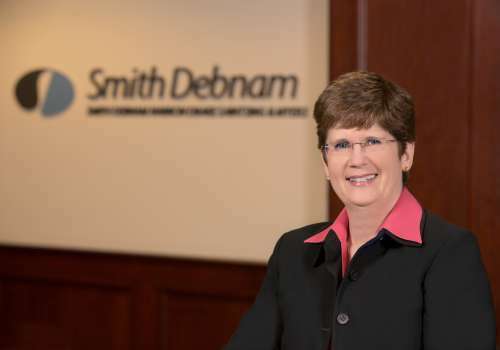 If you have questions or concerns about this federal court decision or similar legal issues, please feel free to contact Connie Carrigan at ccarrigan@smithdebnamlaw.com.